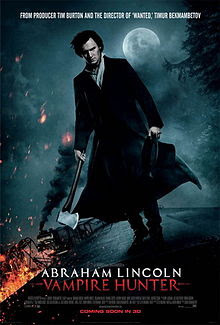 Last saturday, I went to catch the Abraham Lincoln: Vampire Hunter movie in Mid Valley Megamall. I'm often there since it is near and it is also a good place to shop with all my favourite shops around. "Until all men are free, we are all slaves."